DRT triggers set a new standard of trigger mechanics. With absolutely no adhesives required, the DRT triggers clamp onto the sides of standard drum hoops. The specially designed transducer is softly pressed against the drumhead. The advantages are obvious; you can change drum heads over and over, without damaging the transducer. 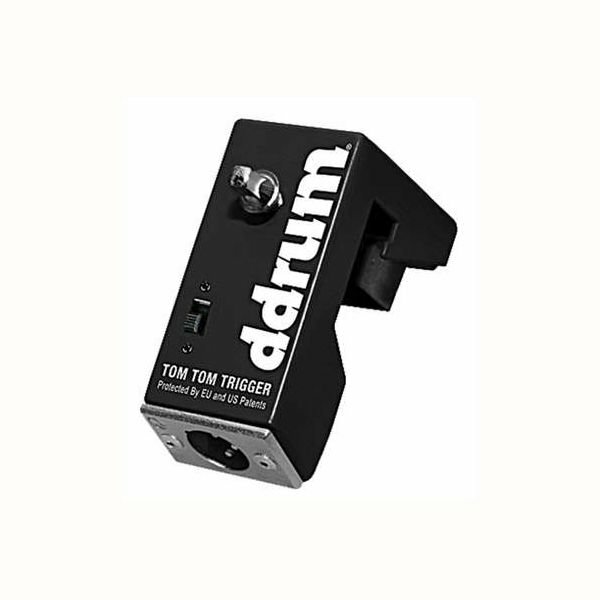 The metal casing protects the trigger from accidental drum hits, and the ultra-light pressure of the transducer against the head prevents any ""dampening"" effect. In addition, the Dual Redundant Triggers (DRT) feature two transducers and a switching mechanism. This allows drummers to switch to an alternate transducer, without the need to unplug the xlr cable - for ultimate redundant reliability.